We spent the last day in Nordfjord, namely in one of its northern branches called Ekmanfjord. 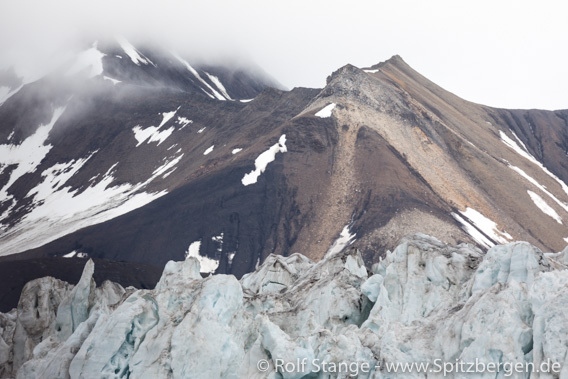 Amazing how the landscapes of Spitsbergen could still surprise and amaze us after a trip that felt like months long. The protruding cliffs of the mountains remind of gothic cathedrals. 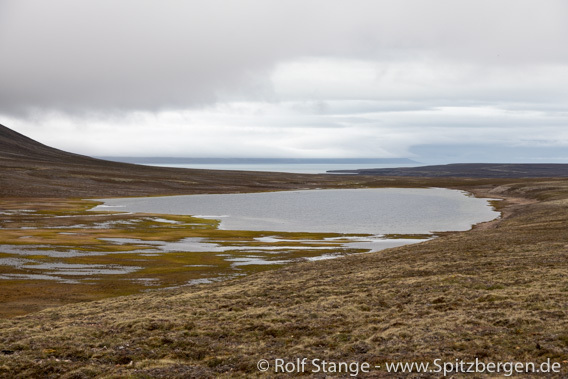 A walk and a long hike, according to choice, took us across a wide-open tundra area with some hills and lakes, where we enjoyed various flowers, birds, the colours of the tundra and all the details that the arctic has to offer. 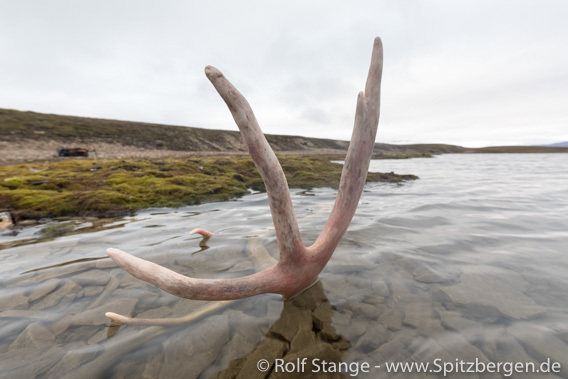 Reindeer antler in a lake on Blomesletta. Wahlenbergbreen is a very active glacier and the place that Rolf chose for our farewell to Spitsbergen. We moved silently between many little icebergs and bergy bits with the Zodiacs to enjoy and say goodbye to the Arctic – for this time. 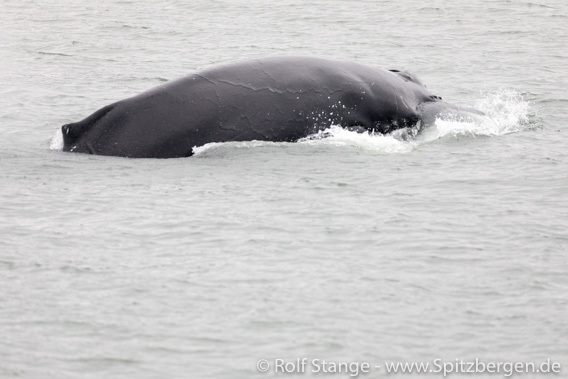 A friendly Humpback whale waved us goodbye with the fluke just before we went alongside in Longyearbyen.